Welcome to the GED study guide page. The links below will take you through our online GED test review. Watch our GED study guide tutorials and brush up on any concepts you don’t remember from your high school classes. Pinpoint your strengths and weaknesses to get the most out of your studying for the GED test. If you need more help or additional prgedice questions consider upgrading with our GED book and flashcards. 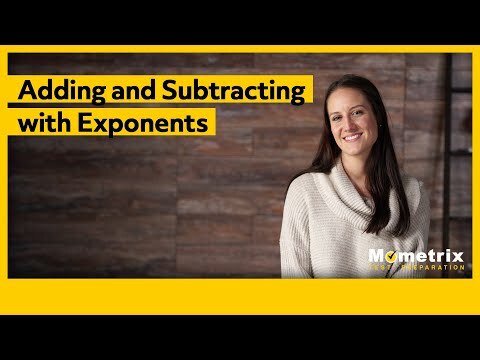 Adding and Subtracting Exponents – Exponentially Easier! Our customers love the tutorial videos from Mometrix Academy that we have incorporated into our GED test study guide. The GED study guide reviews below are examples of customer experiences. I received this product to help my stepson and a friend’s daughter get prepared to take the GED. WOW! This book and the accompanying flashcards and practice tests are the COMPLETE and REAL DEAL to get prepared for the GED. I was a tutor in the past and used other materials to prepare my students for tests; however, I have never seen anything quite like this before! WOW! The topics covered are broken down into smaller more manageable concepts. I was so excited to see that there was a video to accompany almost EVERY concept! Between reading the book, hearing and watching the video, and using the practice questions, I will be able to help these young adults prepare for the test. I feel that the Mometrix study skills included are very well thought through and are extremely helpful. The skills are broken down and explained in detail for maximum use of time. I am very impressed with these materials and would highly recommend them to others. This book is very helpful and easy to follow. I recommend it. This is the PERFECT study guide for the GED. I have tried other brands that are popular in textbook world but fail to give you a clear understanding and useful tips that you will not forget. I purchased this book with a calculator and am very confident in my approach to taking the GED. Why waste money attending a class when this book has everything you need. I strongly recommend to everyone. It is so much easier to use than any other GED book I have ever used. I especially appreciate the review videos all through out the book and see that as an extremely helpful tool in using the book. The practice tests and the secret keys are going to be so helpful in making me more confident on my testing day. I have high expectations that this book will help me be successful in getting my GED. I’ve looked through it and I give it five stars. The layout is much more straightforward, as opposed to another GED guide I tried to work with. I especially like how there are no practice problems slowing down the reading, only the concepts to learn and how to use them. A fringe benefit from this is the aesthetic appeal — there are far fewer gaping spaces on the page, which is what happens when the practice problems are several words and a number for each. This is probably usable for working space if you plan to write in the book, but obviously this is not possible when you are borrowing. The size of the book is something to mention, being more lightweight and less intimidating. When I looked for a GED book, they were all enormous, which gave me the impression I would never get through it. This layout has a lot of concise, well-organized information on each page and no unnecessary wording or pictures. I look forward to using this book to study for my GED and pass with flying colors! I purchased the GED SECRETS study guide. It is very helpful for people like me because i am going to start from scratch. I definitely rate it 5. So my rating scale is 5. The good thing about the study guide which i purchased is that it has code for the review video on each title. it is very helpful. One of the best study guide available for GED test preparation. There is an incredible amount of information! My confidence grows daily as I continue to work through the “Study Guide” and “Flashcards”. I believe with all of the practice opportunities, I will be thoroughly prepared and successfully pass each test! Thank you for all of the wonderful resources and support that you have provided for my journey! I highly recommend your educational products. They are excellent tools that have helped me maximize the quality of my study time! This product will most likely meet the majority of your needs. It seems very clear and to the point. All the info is the basics that you will need, without over complicating the subjects. The book is thinner than I expected, but don’t be fool by the size. I think the book is great because it combine teaching and practice test all in one. I really like how it get straight to the point for each things it talks about so it doesn’t bored me to death. The practice exam’s solution came with explanations why the answer is right instead of just plain answer key. Also, the book contain tips on taking the test. In my opinion, it’s one of the most have book if you want an all inclusive book. 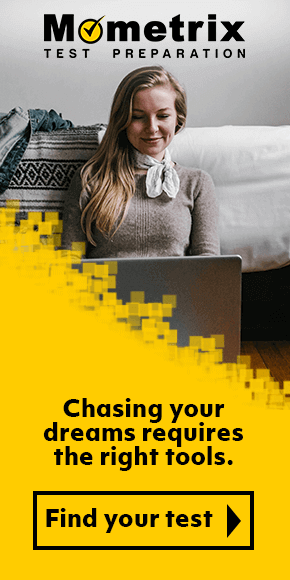 If you’re looking for a guide for the GED exam, then you’ve found it. This guide is filled with great test taking tips that tell you what you need on the actual exam day and even tells you the best ways and times to study to better improve your retention level. 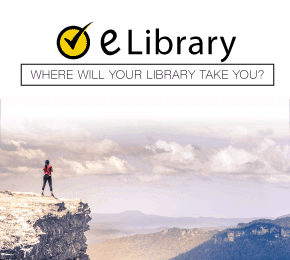 The special reports also provide you with great advice for both taking and preparing for the test. It’s a great guide with an in-depth overview of the necessary material for the test. You’re sure to find it beneficial to your test prep and to actually taking the test.